I read Anna Dressed In Blood last month as part of my Halloween TBR and I absolutely loved it, so I decided to read the sequel Girl Of Nightmares as well even though technically it’s November already. The sequel is not quite as good as the first book, but that doesn’t take away I still thoroughly enjoyed it. I liked the dynamics between the different main characters, Kendare Blake‘s prose reads easily and with a fast pace it’s quite a quick read as well. Some parts can get a bit scary/bloody if you are not into the horror genre… Although the sequel is not as scary as the first book, so you should be ok if you survived Anna Dressed In Blood. Girl Of Nightmares has a different setting than the first book and I would have liked to see more of Anna, but I think that overall this read is more than satisfying and perfect for next Halloween (if you can wait that long). Anna’s ghost has been gone for months now after she opened a door to Hell and dragged along the demon that haunted Cas… But ghost-hunter Cas is having a hard time moving on, even though his friends keep reminding him Anna had sacrificed herself so that Cas could live. It doesn’t really help that he keeps seeing her everywhere; the dead girl he fell in love with. What bothers him most is that he doesn’t know what happened to her and when he starts to suspect something is wrong, he is determined to save her whatever the cost. But can it be done and who will help him find the way? Girl Of Nightmares might not be as good as the first book, but it is definitely an interesting read with a new twist. I would have liked to see more of Anna, but I enjoyed the European setting and the new information about the whole ghost-hunting business. It’s quite a fast read and those who enjoyed reading Anna Dressed In Blood while definitely like this story as well. Recommended! I’m about 60% into The Valentine Circle by Reinaldo DelValle and while it’s not a mindblowing read, the general plot is interesting enough for me to keep reading. I will probably end up finishing it later today… I still haven’t continued with Outlander by Diana Gabaldon; not because I’m not enjoying it, but there are a few other books I want to finish first before fully commiting to this giant. 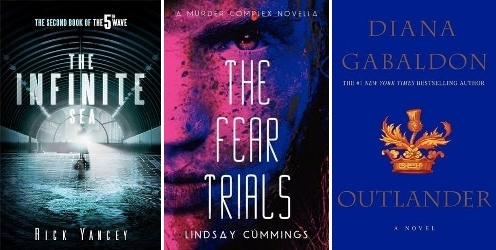 * The first is The Fear Trials by Lindsay Cummings; an excellent prequel novella that gives the perfect introduction to the story and will convince you to read the rest of the series. * I then decided to read The Infinite Sea by Rick Yancey since it was the last title on my October TBR I hadn’t started yet. I know other people love this series, but I wasn’t convinced by the sequel either. 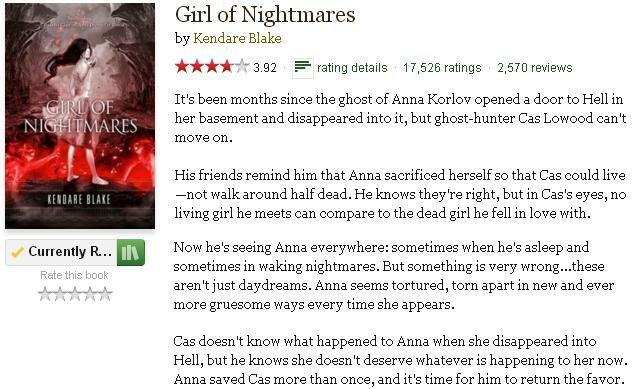 * After two mediocre reads, I wanted something good and decided to pick up the Anna sequel Girl Of Nightmares by Kendare Blake. While not as good as the first book, this one is still really good! As soon as I finish The Valentine Circle, I will either start Six Of Crows by Leigh Bardugo or Carry On by Rainbow Rowell. Basically I’m superexcited to read both and I will be having a hard time deciding which one to pick up first. I also want to read Why Not Me? by Mindy Kaling since it’s nominated for the Goodreads Choice awards… And my new TBR jar pick is Where’d You Go, Bernadette by Maria Semple. I know Halloween has come and gone already, but I just couldn’t NOT read the Anna Dressed In Blood sequel. I really loved the first book, and I’m keeping my fingers crossed Girl Of Nightmares is just as good. I’m not too far into the story yet, but so far I’m enjoying it…. I have finally started reading The Infinite Sea by Rick Yancey, although it’s still too early to say if I like it better than the first one. I’ve also started the prequel novella The Fear Trials by Lindsey Cummings… I’m going to try and finish this series ASAP. 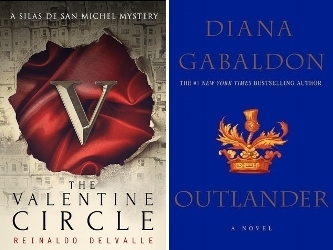 And I’ve put Outlander by Diana Gabaldon on hold until November because there is no way I will be able to finish it before the end of the month anyway. It’s not that I don’t like it so far though! 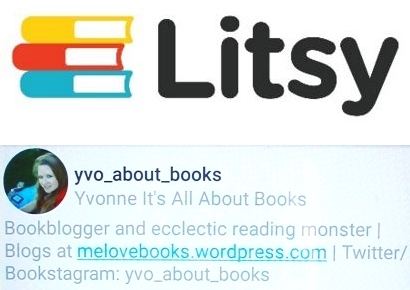 I didn’t have that much time to read last week and I was also quite distracted by my new food blog Easy Peasy Delicious Food, so I only managed to finish three books. 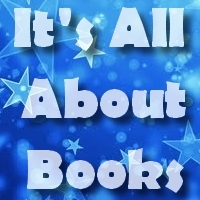 * The first is The Murder Complex by Lindsay Cummings, a read I really enjoyed and I will be reading the sequel soon as well. 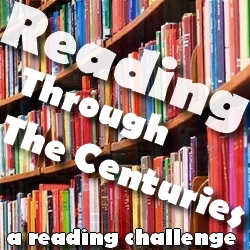 * Next up was Ochoco Reach by Jim Stewart, a very entertaining and well written read. * Last but not least: The Paper Magician by Charlie N. Holmberg. Quite a short read, but not as good as I hoped for. I really want to read Girl Of Nightmares by Kendare Blake… I loved the first book and reading this one also means I will finish another series. 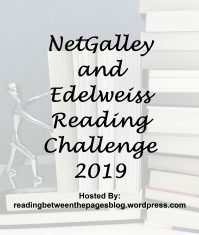 Although I might give in and start yet another series first with Bad Girls Don’t Die by Katie Alender… I should also read Vanishing Girls by Lauren Oliver since it has been appearing on my monthly TBR and WWW posts for ages. The last one, The Valentine Circle by Reinaldo DelValle, is still my latest TBR jar pick I will most likely put on hold until the month is over.